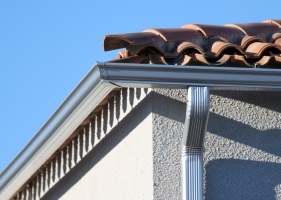 Some people think of the lowly gutter as a low-end option for the home, not considered important. Fancy tile roofs, strong and beautiful stucco exteriors and very efficient and attractive fiberglass and wood windows are all desired on modern homes. But whoever thinks about gutters? Some who live in a dry climate think they’ll never need gutters because they don’t get enough rainfall to justify a quality gutter system. Others just don’t think the slight extra cost is worth it. To my eyes, a home without gutters is visually missing something very important. Gutters seem to give a detail that’s missing in ordinary roofing and fascia materials. 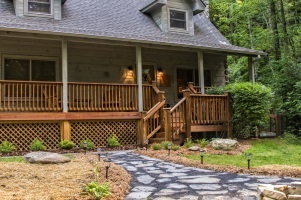 Plus, the gutters and downspouts can be a complimentary color, emphasizing and enhancing your home’s color scheme. As someone who has maintained my home and others’ homes for over 30 years, I can tell you that gutters are absolutely necessary for a healthy, happy and well-kept home. Gutters perform an almost invisible yet necessary job protecting your home’s foundation. Whether you live in a wet or dry climate, any excess water that makes its way to a home’s foundation can spell expensive trouble. Gutters can offer erosion control. Without gutters, water from the roof will fall onto the ground near the home’s foundation. Water that doesn’t seep into the ground will run off, taking soil and plants with it, destroying any type of landscaping near the home. With a gutter system in place, water is channeled away from your landscaping and directed where you want it to go. Uncontrolled water draining directly off the roof can also contribute to rotting soffits and other structural and trim damage. It’s not unusual to see water from a slow rain backing its way under the roofing material slightly and draining down the outside face of your home’s soffits and fascia boards. Often, that kind of drainage goes unnoticed until the damage is fairly severe (and expensive). Gutters are a very inexpensive device that will pay back many times its cost in damage avoidance. Think of gutters as a kind of home-damage insurance. Steel seamless gutters fabricated and installed by a professional gutter or roofing company will cost far less than you might think, and only take about a day to install for an average size house. The gutters will come from the factory with a tough, weather-resistant finish in several neutral colors, so there’s usually no need to paint them – unless your color tastes run to the extreme. If you live in a very wet climate and are fearful of shortened gutter life through rust, you can get aluminum or plastic gutters. I have extensive experience with aluminum seamless gutters and, while more expensive than steel, are a great value and can outlast steel gutters. Plastic gutters, on the other hand, I would not normally recommend. Even with great plastics and vastly improved installation techniques from just a few years ago, plastic gutters will sag with heat and usually will have a shorter life than steel or aluminum gutters. That being said, plastic gutters would be preferable to no gutters. Gutters are great, but they do require some maintenance and upkeep. No, you don’t normally need to maintain the appearance, but gutters do tend to become filled with leaves and other debris and need to be cleaned on a regular basis. If you live in a highly wooded area, you will need to clean your gutters out at least two times each year. That’s not a difficult job in a single-story home, but can get quite dangerous if your home is two stories or more. Fortunately there are many good products that will help to keep your gutters clean by providing some sort of cover that will let water in but keeps leaves and debris out. 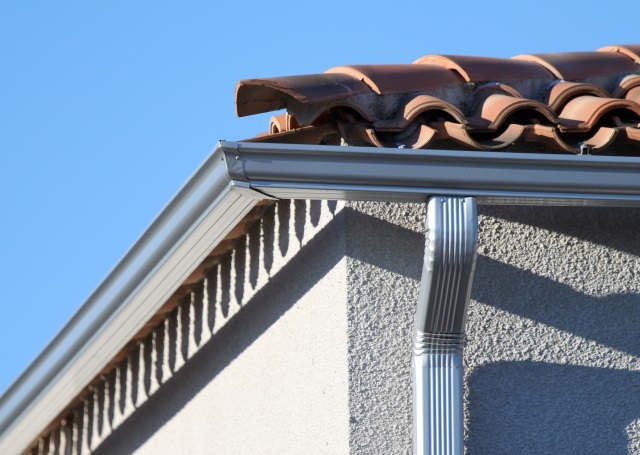 Downspouts, the large tubes that attach to the gutters and carry the water down from the roof are prone to damage because they’re usually on the corners of a house and are made of thin metal that dents and damages easily. It’s not unusual to see a downspout that’s been pinched almost shut from a dent, causing restricted water flow from the roof. 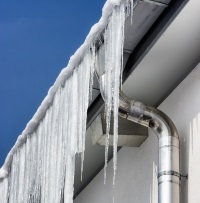 Even including some minor upkeep and installation/repair expenses, I still believe that the modern-day gutter system is worth far more than its actual cost in terms of preventing damage to your home. If you don’t have a gutter system in place, start shopping today for a great local roofing or gutter installation company and start protecting your home. It’s never too late!